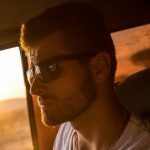 8 Life Hacks for Being Prepared! It's all about survival and the skills that you can use every day to stay safe and protect yourself and loved ones with The Prepper Broadcasting Network. You will never be prepared for every situation life can throw your way, and that is a fact. However, if you want to be able to find your way out of the majority of prickly situations, that can be managed. Investing time and energy to learn and hone certain skills is definitely worth the effort, especially if you know exactly what you want to be good at. Being prepared for emergencies and difficult events in life isn’t something people like to think about too much because it’s easier not to, but knowing what to do can make or break your chances of solving a problem or even saving your life. There are life hacks that you can use to help you be prepped and ready no matter what comes your way. Here are 8 of them I believe I crucial. This is survival 101 – you should be able to keep yourself safe in any and every situation. Whether you’re a man or a woman, knowing how to protect yourself from people who are up to no good will make all the difference in how you feel about the world. Not only will you be more confident and aware of your strength, but you will also be able to help others in trouble and there’s nothing better than that. 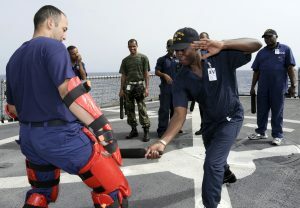 Taking a few classes of self-defense won’t make you conflict-prone, on the contrary, you will do all you can do avoid physical confrontation, but if push comes to a shove, you’ll get out of it in one piece. This might sound a bit paranoid to you because for the most of our lives we don’t face situations that force us to evacuate and quickly, but you never know what might happen. Whenever you’re in a closed space, no matter how big it is, scan it to see where the exits are. That way, in case something like a fire happens, you’ll know exactly where to go and you’ll be able to direct other people who might be panicking. Being prepared doesn’t have to be too difficult, just being alert, conscious, and having an exit strategy can do plenty of good. 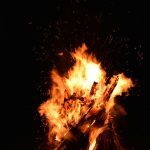 There are many survival skills one can get good at, but if you have to pick one, then do your best to know how to light a fire in any circumstances. If you’re outdoorsy and you like going camping and hiking, then you know how important the warmth is while you’re in the wilderness. You should know how to get a fire going without matches because you might not have access to them. I always carry a piece of flint on my keychain, that way I know I’ve got a spark with me wherever I am. The ways to light a fire are virtually countless and you should know how to do at least a few of them so that you’re ready for anything. Many people think that finding food and shelter are the biggest problems when you find yourself in survival circumstances, but if you find yourself in trouble, the primary concern is how to get out of it. You’ll find your way around survival food as well as building a shelter, but navigation is your crucial instrument to get back to safety. Knowing how to use maps and a compass without any help from GPS technology is a useful skill and it’s not that complicated to learn. It would also be wise to know how to navigate your way by looking at the stars and the sun, as well as different occurrences in nature. 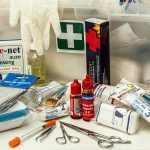 If you’re going off to the wild, always have a first aid kit with you and more importantly, know how to use it. Being able to take care of smaller burns, cuts, and scathes will make sure that neither you nor anyone else in your company will have problems with nasty infections that can have long-term consequences. Also, learn how to perform CPR because disaster can strike at any time and you might have to resuscitate your loved ones or even strangers that just happened to be sitting next to you when he went into cardiac arrest. If you’re traveling with someone and you know that they have a health condition that can cause seizures, read on how you should behave in case a seizure does happen so that you can help to the best of your ability. Being in decent shape doesn’t just mean that you’ll look good in your bathing suit, but it also means you’ll be able to endure more stress on every level. You don’t have to train for a triathlon, but being able to run for a mile of two without wanting to die afterwards is a good start. Strengthening your body will allow you to move better and have agility, not to mention all the health benefits you get from taking on running, swimming, cycling or whatever comes to your mind. Physical preparedness for any survival situation is vital and should be regularly taken care of accordingly. 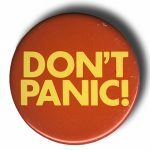 Not panicking when everybody around you is doing just that is incredibly difficult to achieve and this state of mind is something you have to work on actively. This is not a life hack per say, it’s more of a way of life because keeping your head on your shoulders in a nerve wrecking situation means that you’ve taken care of your mental hygiene long before that moment. Panic can easily freeze us in our own fear, which is why learning how to control it can easily save your life and many more. Staying calm allows you to think clearly and leaves room for problem-solving that is augmented by all the adrenalin pumping through your veins and that just might be what you need to get out of a very bad situation.